Hi All! It’s Taryn again from Design, Dining and Diapers and it’s always an honor to be at TT&J for the day. So who is ready for school to start? Or have your kiddos already headed back to the books? 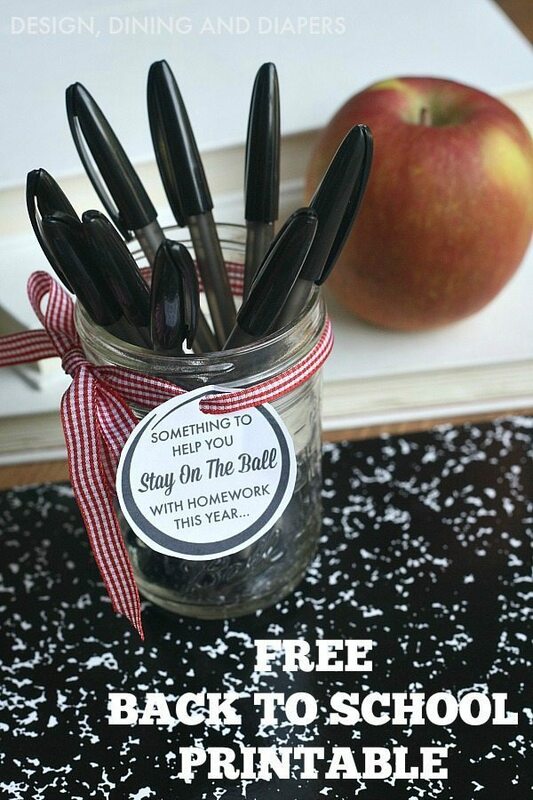 With the start of a fresh new school year, it’s a good time to encourage kids to stay on track with homework so I am providing you with a FREE BACK TO SCHOOL PRINTABLE to say just that. 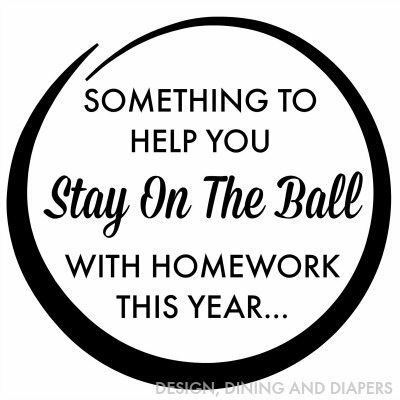 When you pick up this year’s school supplies, you can tie this cute little saying onto a new pack of ballpoint pens as a helpful reminder to ‘STAY ON THE BALL’ with homework this year! Use it on a pack of pens, or tie it around a special one! I provide you with a few different color options for the tags. Download them below. Thanks for having me over today! And good luck to all on a new school year! Thanks Taryn!! How cute are those little tags? 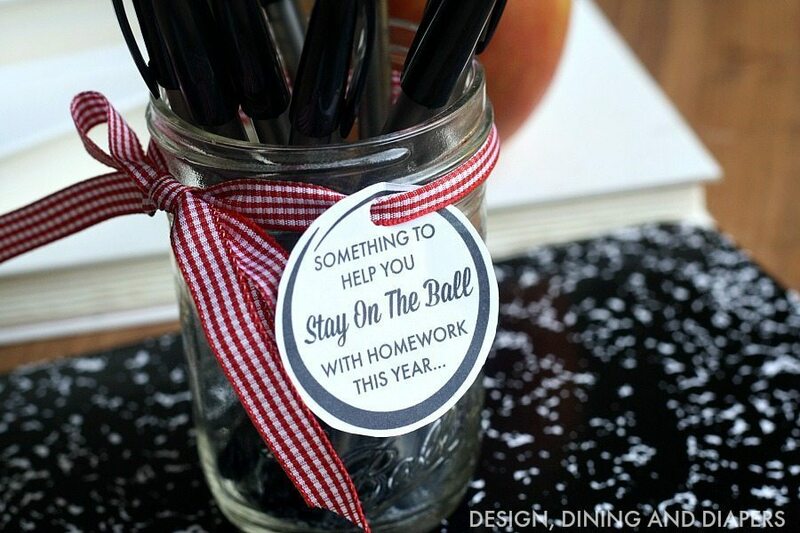 I love them, and they are such a simple way to encourage kids to do their homework. This Chalkboard Desk Station is so cute for keeping quick supplies and things that the kids might need. I love the countdown idea too!! And if you’re dreaming about fall mantel ideas already, her Rustic Fall Vignette has plenty of inspiration for you!! And her Fall Twig Wreath is so simple and cute!! It’s one of my favorites. 5 Easy #Techorating Tips (Decorating Around Technology)! Fun #BackToSchool Activities – and 25% Off Kiwi Crate For You!